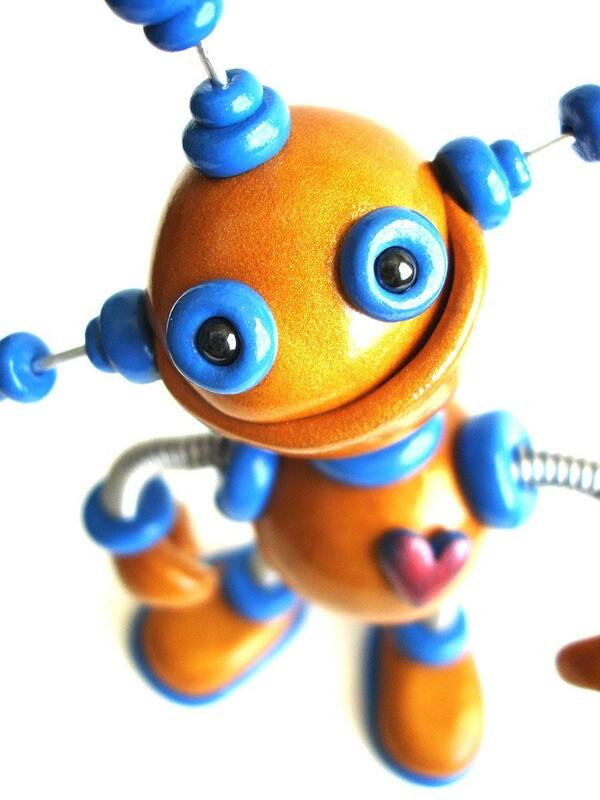 Garrick is straight out strange, for this kooky gold and blue robot nothing is out of his range... probably because of his three antennas! That smile? He knows what he looks like, too... His goal to bring a smile not only to you, but all who visit too. This robot inches is Height 6" x Width 4".